Looking for tools for free Twitter analytics tools? 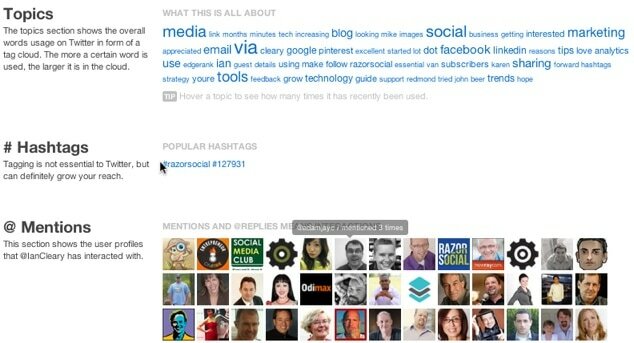 Want to check out real-time Twitter stats, engagement, topics, hashtags, and generate reports? By analyzing your account or your competitors’ Twitter accounts using free Twitter analytics tools you can identify key areas what affects the number of followers, engagement rate, and the success you have on Twitter. When was the last time you analyzed your twitter account or the accounts of your main competitors using free twitter analytics tools? What are they doing that you should be doing yourself? Well, fear no more, we have some free twitter analytics tools for you to help you do a deep dive. Note: not all tools are completely free twitter analytics tools but they do provide a free option. 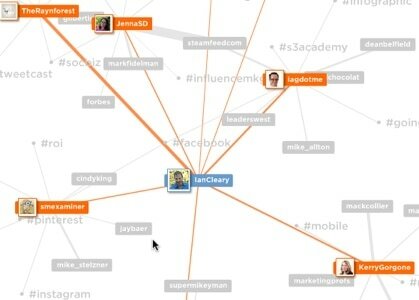 Klear is a great tool for identifying Twitter influencers based on the criteria that matters to you the most. Information is categorized into 60,000 categories so you can find relevant people within any of these categories and then you can apply filters to narrow down your search (e.g. country). Tweet distribution – this gives you an idea if the account is just sending all links, replies, retweets, etc. View users with a similar profile. 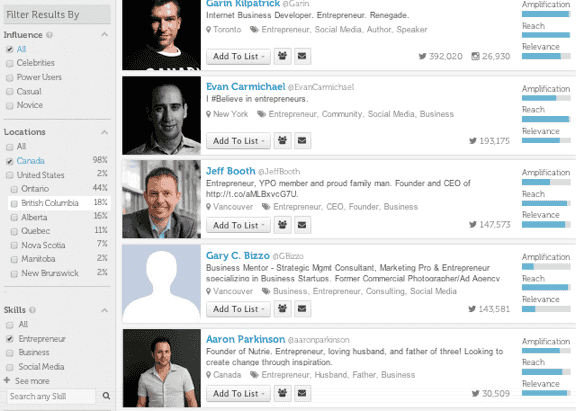 Details on lists – You can view all the lists that your competitors belong to. This can be useful for finding other Twitter followers you should engage with and also people that create the lists. Overall statistics on the user – You can see how many tweets are sent, the time of the day the tweets are sent, how often content is retweeted. Most popular content – View the content that is retweeted the most and sent tweets that were favorited the most. Download and print tweets – If you want to do further analysis offline. Users most replied to and mentioned – You can find out who your competitor is engaging with the most. Hashtags used – Find out the which hashtags your competitors are most frequently using. 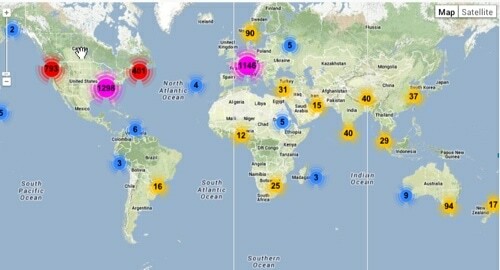 The following image shows an example of the Twitter stats displayed. The following shows who the person is interacting with the most. This is really useful as these are probably people that you want to connect with also! Twitonomy is a really useful tool to view the overall status of an account and what’s really great about it is that you can get all of the above info using the free version. 3. 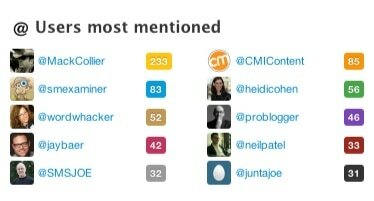 Foller.me – What topics are my competitors talking about? Mentions: A list of user profiles the user has interacted with. You can click on each profile and view details of this person. Time: You can view the activity time based on the latest tweets. Foller.me is really an alternative to Twitonomy and you’d probably use one or the other depending on your preference. Tweetstats provides graphical reports which are mainly focused on the timing of tweets but it also provides some additional information related to content. If you want to find out what time your competitor is sending the tweets, the days of the week, the average number of tweets etc, then Tweetstats is useful for this. View prediction of follower growth over the next 30 days. 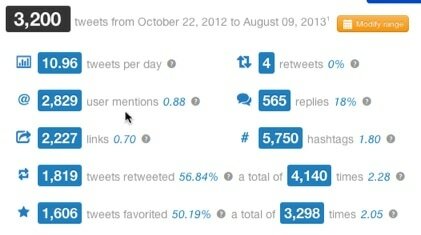 Here’s a comparison of tweets sent by me and Jay Baer! 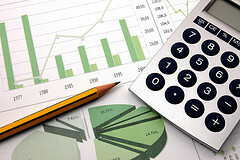 Hootsuite allows you to create 2 reports which you can run for free. After this you have to pay. One report that is quite useful is Owl.ly statistics. When when you send a tweet with a link and you use the Hootsuite website address shortener the link is shortened to owl.ly/<number>. When someone clicks on this link, Hootsuite records this so you can report on it. 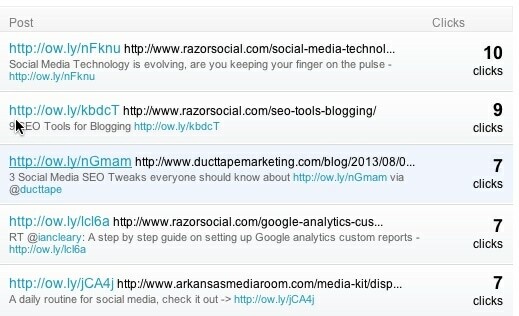 This is very useful to see which links are popular/not so popular! Twitter also provides very useful analytics software where you can track details of your profile, Twitter stats, Twitter audience growth, impressions, engagement and much more. This tool has very rich functionality, but to get more than the above mentioned stats, you’ll need to sign up for one of their paid plans. Mentionmapp provides an analysis of who a person is interacting with based on their most recent tweets. You can also see who the people you are communicating with are communicating with!!! This is a great way of finding new relevant people to follow and engage with. Buffer provides analytics on any tweets sent out so you can see the number of retweets, favorites, mentions, clicks and potential reach for any tweet sent out. Monitoring the analytics on tweets are useful to see how popular/unpopular they are! 11. Tweriod – What is the best time to tweet? Tweriod is another completely free Twitter analytics tool that analyses your account to work out when you should send out your tweets to get maximum exposure. You can see when most of your followers are online based on different times of the day and days of the week. If you’re serious about growing your presence on Twitter, you need to keep an eye on the key twitter stats and analyze your account (and you competitors’ accounts) regularly. This is the only way to understand what’s working/not working so you can optimize your efforts accordingly. All of the free Twitter analytics tools we mentioned in this article provide some useful functionality that can help you improve your results on Twitter. Choose the tool that matches your goals and test it out on your account, your competitor’s account, or a key influencer in your industry. 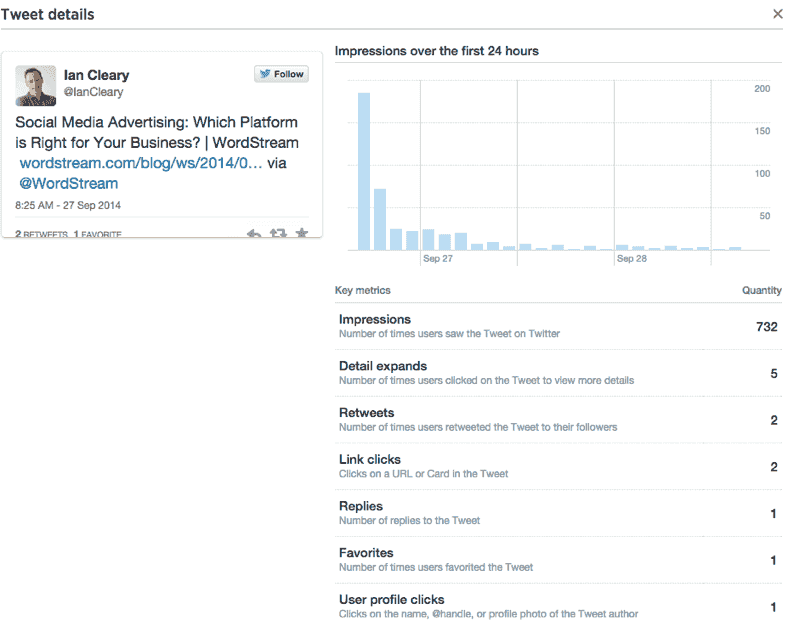 Do you know of any other Twitter analytics tool that we didn’t mention? Which of the above tools would you use? I’d love to hear from you in the comments! If you feel there’s a gap in technical skills in your Marketing Department we’d love to chat to you to see how we can help.